WordPress theme design and development is a rewarding, but difficult job. These tools make my work a little easier. Obviously you need a computer, but not just any computer. You need a MacBook Pro with a retina screen and a Thunderbolt display. 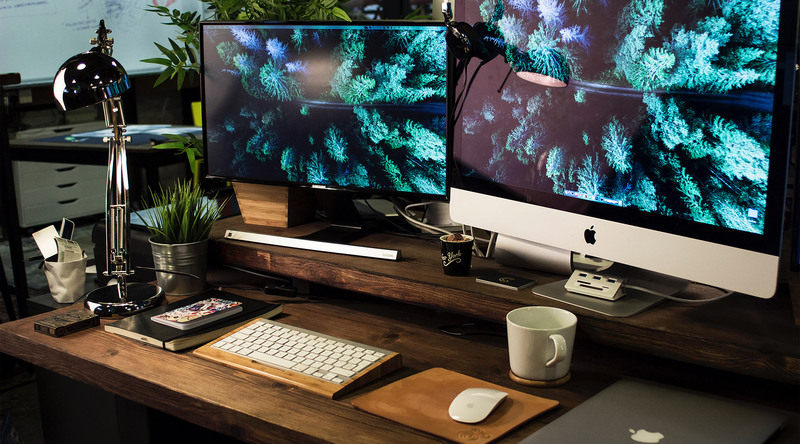 If I’m traveling or just get sick of working from my home office, I want to quickly grab my computer and work on the go. Having a MacBook Pro with a Thunderbolt display makes that easy. I’ll be working while sipping on a latte in no time! I personally use MAMP Pro as my local development server. I have trouble focusing on more than one project at a time — ADHD and all. However, if you work with multiple clients, Desktop Server may be perfect for you. Update: I primarily use Desktop Server as my local development server now. It’s way easier for spinning up additional development sites. I spend a lot of time writing and editing code, so I need good development software. A couple years ago I made the switch from Espresso to Atom. 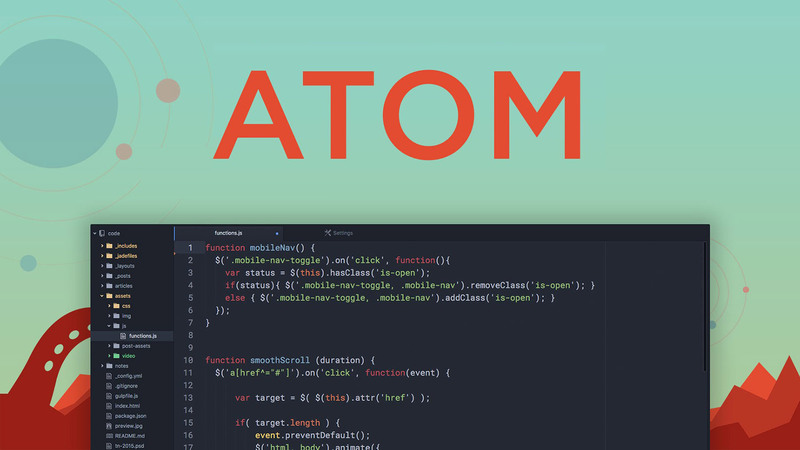 Atom is awesome! It’s free, open source and highly customizable. The good folks at Github maintain the software, and the active community contributes with useful packages. So you can customize the platform to meet your development style and needs. Assuming you’re a smart developer, you’re probably already using Github for version control. Atom syncs with your Git repositories to track all your changes. Really, I can’t say enough good things about Atom. I learned Photoshop in high school at 14-years-old. I’ve grown up with the software, and used it for everything from illustration and print design to photo editing and web design mockups. I know the program backwards and forwards. These days I mostly use it for basic resizing of images for demo sites. I probably could find a much less robust program for my needs, but I’ve always been loyal to my Photoshop. Using a good starter theme will get you 90% of the way to a completed WordPress theme. I initially created the Seed Theme to be a starter theme for my development process. However, it had some limitations. As a result, I ended up creating a new starter theme — the Swell Theme. I released a free version available on Github and the WordPress Theme Directory. Also, a premium version is available from Organic Themes. Update: I’m always trying to create a better starter theme. The Origin Theme is the latest WordPress starter theme I have designed and developed. No WordPress theme developer should be working without the Developer plugin. This plugin contains a number of essential development plugins including Theme Check, Regenerate Thumbnails, RTL Tester, Debug Bar, Beta Tester and more. Firebug is an essential tool for my design and development process. The Chrome inspector is equally as good, if not better. Regardless, use one of these inspectors, and use it frequently. You can practically learn web development just from playing with a good inspector.